During his hunt the hawk returned to him with a fish in its beak. Mamun-or Rashid was surprised. He returned back toward the city. Once again, he found children playing on the same spot, who ran away seeing the caliph’s soldiers, except this young man who said he was Muhammad son of Imam Ali Ridha (p b u h) who remained where he was. 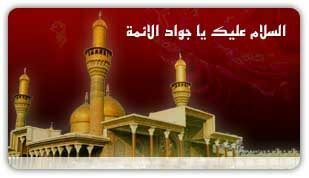 Mamun-or Rashid said, “Truly, you are the worthy son of Imam Ali Ridha (A.S).